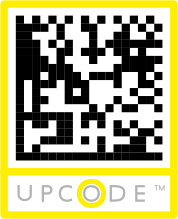 The UpCode reader is a mobile barcode scanner for 2D and 1D codes with smart functionality behind. The free app can be downloaded from one of the following locations. Taking the concept of Auto ID into reality, Upcode has garnered global attention. First awarded at “ID World Abu Dhabi 2012” for our asset tracking. With our technology we enable identification and tracking of. Specialized in identifying and tracking assets. Independent of third parties and proprietary equipment by utilizing existing infrastructure. The right approach from a clean tech point of view. Upcode is in a unique position to be able to offer in-house development, knowledge and practical experience in bleeding edge technologies. UpCode has developed a multitude of solutions involving the exchange of goods and services. Specifically solutions that involve granting access to local services, ordering of goods, transactions of virtual currency and management of immaterial rights. Solutions developed at UpCode involving transactions have certain prominent features. The UpCode MAITM (Mobile Access and Interaction) platform is an extremely efficient tool for vertically integrating information needs from a business, governmental as well as a consumer point of view (B to G to C). In fact, up to 15 % of the price of goods originates from costs relating to partial optimization and separate old-fashioned systems and procedures. Doctors spend half of their time typing in information – instead of maximizing the time keeping people healthy or time spent taking care of patients. This is a huge global and a huge local issue. The strength in the UpCode platform is that these issues can be solved with a bottom-up approach. We have many success stories where governmental installations have been opened up to meet the information needs of businesses and consumers. 20-50% less fake related loss in the society.